Bragging Rights: The annual North Carolina State Wine Competition was held on October 3-4, in Raleigh, featuring a record 471 wines. Guilford County’s Grove Winery once again came up big in this year’s competition by taking 15 medals, the most medals awarded to any small winery. Gold medals were awarded to the Grove 2011 Estate Tempranillo and the Red Clay Red made from the Carménère grape. 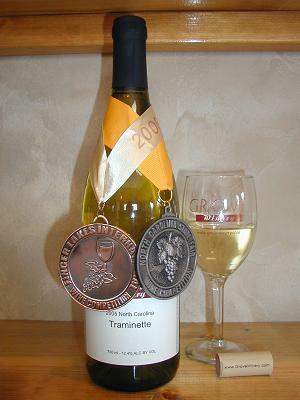 Silver medals were awarded to the Roanoke River Red and the 2011 Viognier. Eleven additional Grove wines were awarded medals. These wines are available at the Grove Haw River Valley tasting room which is open daily noon until 6pm. To see a complete listing of awards won by Grove wines click here. 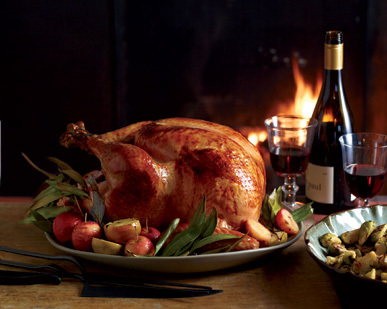 Knock out your entertaining and gift buying the easy way. Make any purchase of wine or wine accessories online by Tuesday December 18 and use discount code TakeTwenty to receive 20% off your entire purchase. Buy at least one bottle of Grove wine at either TotalWine or The Fresh Market in November, December and/or January, send us a copy of the receipt, and you’ll receive a coupon for a free tasting or glass of wine at Grove. Additionally, each receipt sent to us also enters you in a drawing for other prizes including wine hardware, concert tickets and more. Receipts can be emailed to info@grovewinery.com or faxed to 864-752-4882. 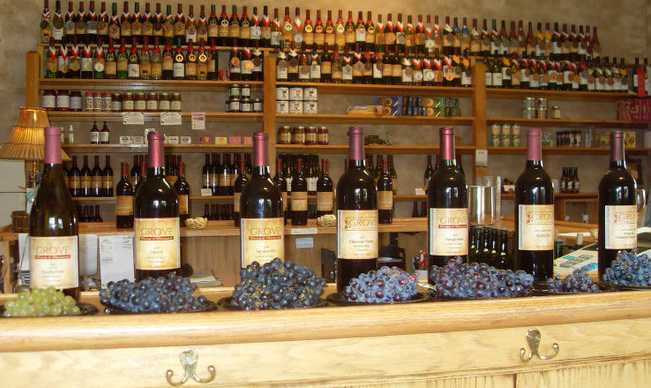 Wine accessories like decanters, quality corkscrews, related foods, puzzles, etc. make great holiday gifts. And wine is one of the best and easiest ways to quickly shop for many people on your gift list. GroveWinery.com has some of the best prices in the country on wine accessories and you can, of course, buy Grove wines there as well. We have relationships accessory manufacturers like Oenophilia and VacuVin, so if there’s something you don’t see on our website, let us know and we might be able to get it. As the holiday party season begins, keep local wine in mind for serving at parties and as hostess gifts. In the interest of full disclosure, Grove Winery is a sponsor of this blog. Congratulations to Berl & April – they were the winners of a special give-away for the World of Flavor” dinner at www.facebook.com/redwinediva sponsored by Grove Winery. Then Berl generously agreed to do a guest post on my blog to tell us all about the fabulous meal & wine pairing. Thanks so much, Berl. Sounds like I missed a great time! What a night. My wife April and I just had one of the best nights out we have had in a while. It started off with a wonderful surprise from Red Wine Diva with tickets to the World of Flavors Dinner at Grove Winery. Grove Winery is located in Gibsonville, NC and this was their first of what I hope to be annual dinner pairing some of their wines with foods from different wine regions. The night was kicked off with a melody of music from all the different wine regions being showcased by Gary Brunotte. While Gary is an accomplished jazz pianist he brought his accordion and transported us to each of the wine regions with traditional and not so traditional music. Some of the diners were even moved to dance. Award winning Chef Mitchell Nicks of Muse Catering started us off with a Trip to France where he paired Grove’s unoaked Chardonnay with a Neufchatel Cheese, Tomatoes and Crisp Prosciutto stuffed artichoke heat. This French Chablis-style of Chardonnay with its clean finish complemented the delicate flavors of the artichoke hearts. Then it was off to Spain with a Catalan Tomato Bread that was paired with the Tempranillo. I especially loved the white anchovy. This estate grown grape is the primary grape in Spanish Rioja wines and I am a big fan. Grove does a great job of capturing the traditional Spanish style of this grape. Love it. We took home three bottles after dinner. There were three main courses from Germany, Italy and North Carolina. The Grove Traminette, a German style of grape, was paired with a German style braised pork shoulder atop a bed of German Sauerkraut. We were very surprised by the strong floral nose and honeysuckle notes of this wine and it paired nicely with the tender white pork and kraut. The Italian style Sangiovese known best for the Italian Chianti was a perfect match for a very traditional Tortellini Bolognese adding the perfect touch of smokiness to the dish. Finally we came back to North Carolina with a wonderfully slow braised boneless short rib that was braised and paired with the Grove’s Norton. A native American grape, Norton held up well to the richness of the short ribs with its slight tartness and big fruit flavors. Thank you John and Max for a great time. I highly recommend Grove Winery for some of the best wines North Carolina has to offer. This is a special invitation from me (and the good folks at Grove Winery) to come join us Friday at 6 pm for a tweet-up and a new wine release!!! Max and the gang will be releasing their new Cabernet Franc and all you have to do is show up to get free tastings!!! But that’s not all – we are going to have a REAL party! Light appetizers will be served along with your free tasting of the new Cab Franc and you will get 20% off bottle purchases; only $3 for glass purchases. AND you will be entered into a drawing for tickets to the opening concert at Lake Cabernet on April 20. The 2012 concert series starts off with Jon Shain who will be promoting his new The Kress Sessions album. The concert series will run from April through October. Grove’s Lake Cabernet stage was voted runner-up as Best Outdoor Music Space in the Triad by the readers of the Greensboro News-Record in 2011. Two other winners in this Best of the Triad vote were Lauren Light and Hanging Thread who will be making appearances this year at Grove on 6/15 and 7/20 respectively. We will also be featuring three large festivals this year. To see the complete lineup of artists, click here.